Feel your kart bend, twist and bounce on every bump! KartKraft is a multiplayer kart racing simulation game made by Black Delta and published by IMGN.PRO. Learn what it takes to corner at over 2.5G while balancing on only three wheels as your engine screams at 21,000 RPM. Master the skill of racing karts accelerating to 60mph in just 3.2 seconds with no suspension whilst fighting 20 other drivers. Hear your tyres squeal as they slide and deform, trying to grip the track. 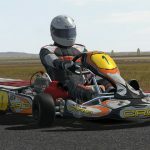 Experience the most advanced vehicle physics ever produced for a racing game with KartKraft. Build your kart from the ground up with over 60 components and 1000+ parts that all affect handling. Swap out axles, sprockets, carburetors, rims, hubs, torsion bars and many more. If you can see it, you can change it. 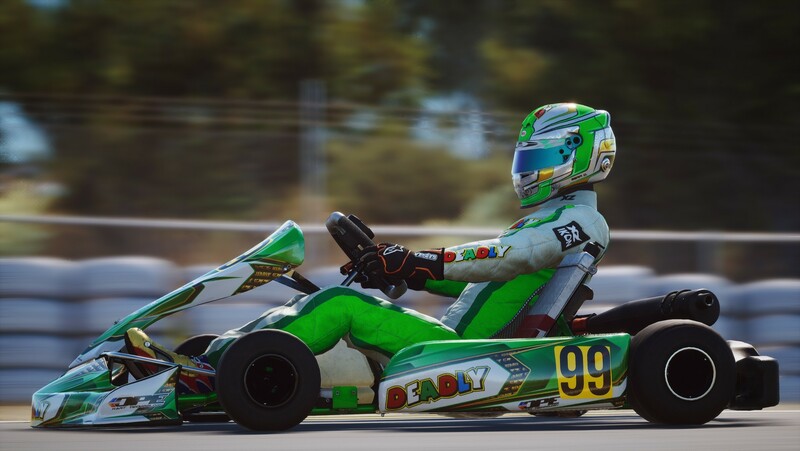 Feel your kart bend, twist and bounce on every bump, crack and kerb in the track as you drive on officially licensed circuits from around the world. Scanned with the same technology used in laser guided missile systems, every surface is accurate to the millimeter. The only thing closer is real life. Learn from the best as you climb your way to the top of the leaderboards in the ultimate hotlapping competition. See where you rank against your friends, your country and across the globe. With every lap recorded and uploaded to our servers in high-fidelity, see exactly where your competitor brakes, turns and accelerates to gain the edge and send them home. Look the part and stand out from the competition. Kit up in the latest gear from Alpinestars, Arai, Freem, Momo, OMP and Sparco with more being added during Early Access content updates. Dress the way you want by choosing the suits, gloves, boots and helmets to show off your unique style. All in all at this stage of release I would say without hesitation it's worth every penny of it's price and I can't wait to see what the developers have in store for the future.